Getting taxes prepared can be, well, taxing. Help is available through the Volunteer Income Tax Assistance (VITA) program, offered in communities across the nation. 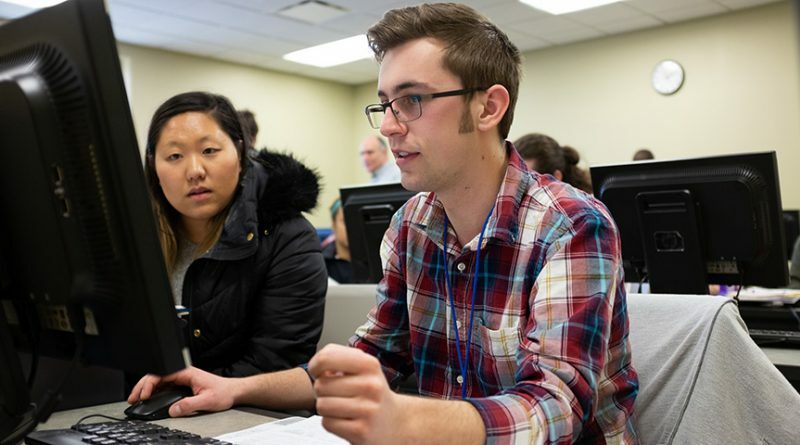 Each spring, 20-30 students from the University of Wisconsin-Stevens Point volunteer with VITA through CAP Services in Stevens Point, providing free tax preparation for low-income families. The students, along with other community volunteers, work one-on-one with families to make sure they get every tax credit available to them. According to a news release from UWSP, VITA volunteers served 833 families in 2018 across its three-county service area, saving more than $133,000 in preparer’s fees and getting them nearly $430,000 in earned income tax credits and $1.3 million in state and federal tax refunds. Students say enjoy learning and serving their community. “VITA appealed to me because I wanted to get hands-on experience in accounting, and being involved in my community is very important to me,” said Erica Frost, Rudolph, a junior majoring in accounting and business administration. Bo DeDeker, a lecturer in the School of Business and Economics, volunteered with VITA as a business student when he attended UWSP. Now he teaches tax preparation courses there, and he helps CAP Services coordinator Erin Olson recruit student volunteers. Students take more than eight hours of training and testing to be certified to prepare income tax returns using the Taxslayer software. Volunteer hours begin the first week of February and operate through April 15, with supervision by a CAP Services coordinator. Volunteers meet clients and prepare taxes twice weekly in Stevens Point. Student volunteers have a variety of majors, from business to biology, DeDeker said, and say many enjoy it so much they return to volunteer after they have graduated. To get tax preparation help through the VITA program, call 211.